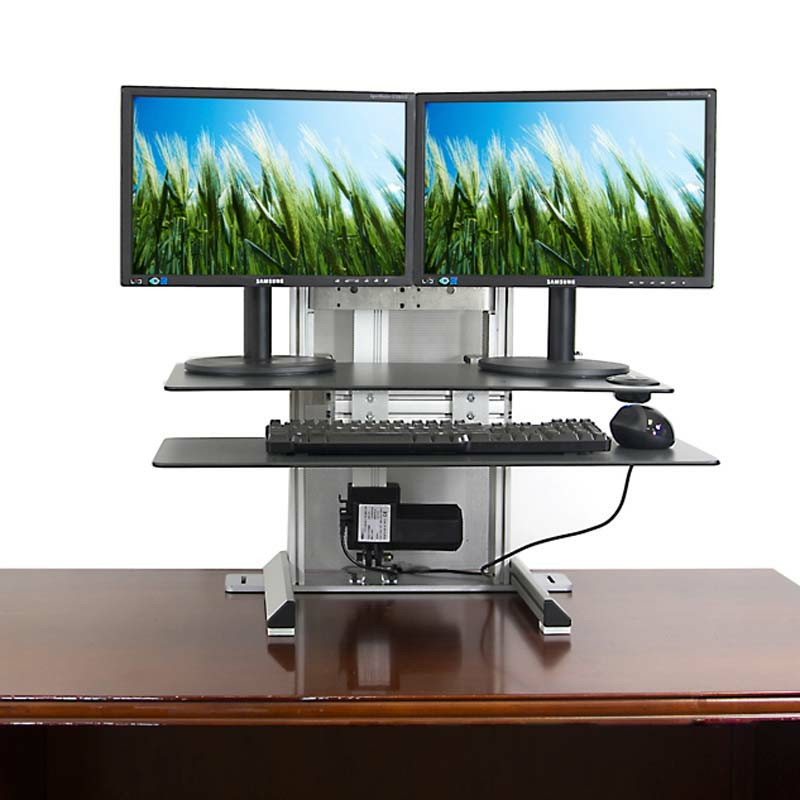 Ergotech’s One-Touch is an innovative electric powered monitor mounting sit-stand system that mounts directly to your existing desk! 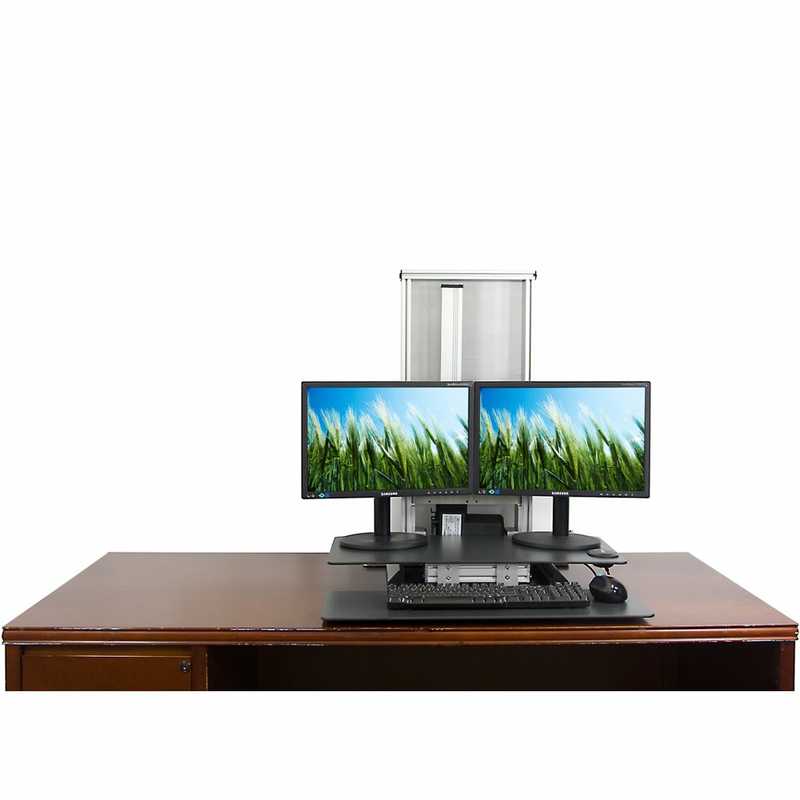 Compatible with both PC & Apple iMac® monitors, the One-Touch comes in a variety of bundles to match your worksurface needs. All One-Touch models are powered by an electric motor and provide the highest range of vertical travel on the market today at 20”. 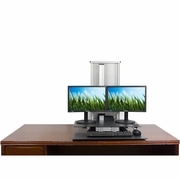 Compatible with both PC and iMac®, the One-Touch easily adjusts to your desired height giving you the ability to sit-stand throughout your work day. Enjoy the many benefits of sit-standing throughout your work day, and in no time you will be on your way to a healthier YOU. 10 years on the unit/parts, 2 years on the motor.